Blade of Queen will undergo an update for S1-S114 to improve and provide better game experience, which starts at 01:00 Dec.27 (PST). This update lasts about 15 minutes after the in-game announcement. 1. New SSS Eidolon-True Flame Lord. 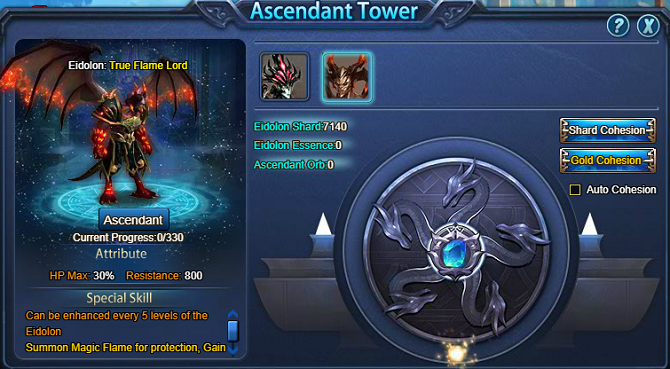 In Ascendant Tower, players can use Eidolon Essence and Ascendant Orb to upgrade Flame Lord to True Flame Lord. 2. 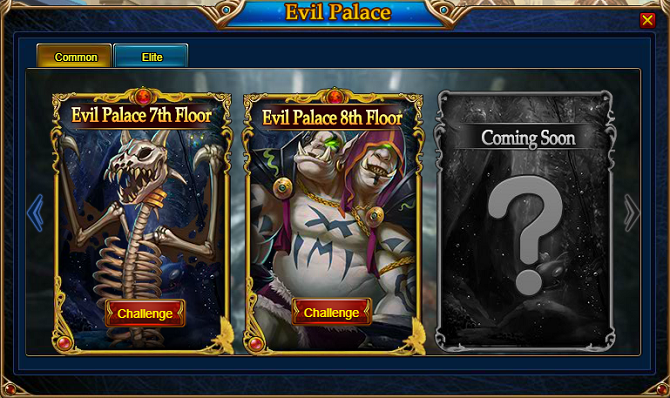 New Common Evil Palace 8th Floor and Elite Evil Palace 8th Floor. Monsters will be exceptionally strong there. 1. Improve Outfits Handbook, players can get extra Costume Essence when he gets one new outfits. Players will get relevant Costume Essence rewards directly for the previous outfits that he has owned. 2. 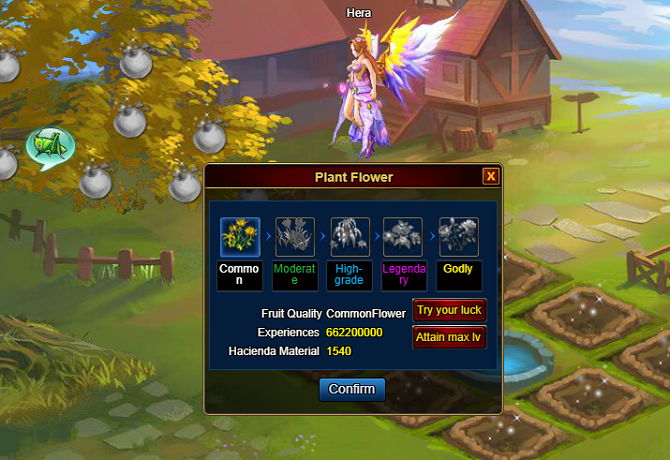 Players can check the amounts of Hacienda Capital and Hacienda Material when plant fruit and flowers. 1. Fixed the display anomaly of Queen's Chest points ranking. 2. Fixed the bug that players can't go to friends' Hacienda. 3. Fixed the bug of Support button was covered by Groups Information in Buddy Legend.